During our fact checking process, we’ve learned the meaning of perseverance, when we tried calling the politicians behind the statements checked for weeks with no response. We’ve had to develop stamina, as we stayed up all night writing and then had to make it to early meetings the next morning. And let’s not forget out poor scalps, which suffered immensely from ripping out our hair in frustration over slow progress. You cannot forget the context of the statement you’re checking. If you familiarize yourself with the context early on, it’s easier to determine if the statement is ultimately too broad or complicated to check properly. Broader topics should be defined as well as possible. You should never read into a statement without knowing the context involved, even if it would make the topic far more interesting. When you’ve determined the context, you need to decide your angles of approach. Categorizing information properly saves you time, as you can filter out useless material early on. If there’s a lot of data, making a spreadsheet or mindmap can be very helpful. Make sure you have all the information you need! Before you start writing anything at all or even get into the fact checking process itself, make sure you have all the information on the subject you can possibly get. You’ll save time and effort when you don’t have to rewrite your entire article multiple times. Never trust a statement blindly! You must always be able to find a factual base of data, an expert opinion or something, that’ll prove the fact is, indeed, a fact. Always be critical of your sources! Do not hesitate to ask experts for help. If the statement is the kind where you’d have to dig through an entire library archive to find the information yourself, you’ll be better off asking an expert. It’ll save you plenty of time and effort. An expert will have a broad understanding of their field of expertise and as such can take many viewpoints into account. Statements aren’t necessarily true or false. Do not rule out options, before you’ve gone through every bit of data and done your best to research the statement. As such, a fact being uncheckable is definitely an option. You cannot prove a fact as completely false or true unless you look into it very thoroughly. It’s important to remember that some things are so multifaceted, that there might not be a one-dimensional answer. Do not underestimate the amount of work required! Instead, reserve more time for the process and in the end you’ll save yourself from bigger reworks. And for our final piece of advice: Enjoy! Even with all the hard work and frustration involved, fact checking can be a very eye-opening and enlightening experience. At its best, fact checking can give you an immense amount of trivia knowledge if nothing else. With this incredible information you’ve gained you can amaze your friends or perhaps impress a Tinder date. After all, there really isn’t anything out there that beats being smart, is there? 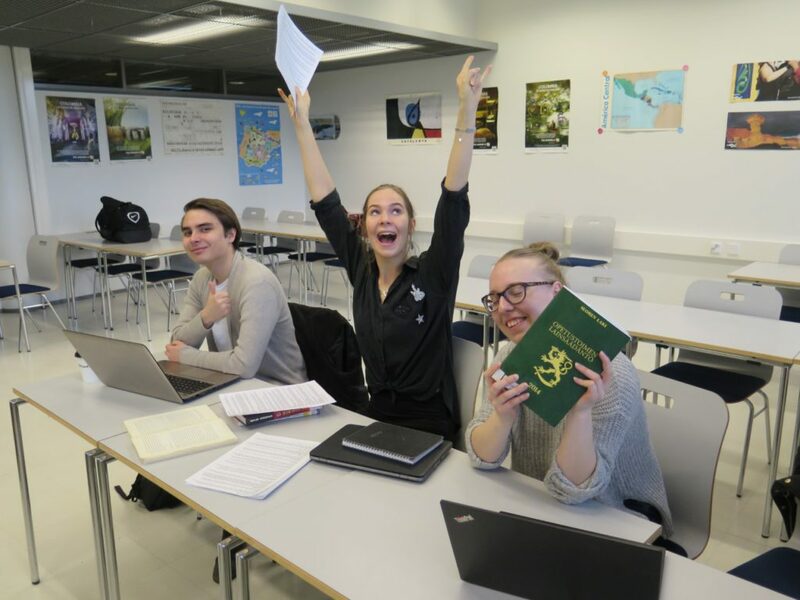 Article by: Sanni Heikkinen, Minna Nord, Tatu Partanen, Vilja Sorsa.